Why not “take a break from reality” and spend some quality time with your family on a working farm. Beautiful in every season of the year. Self-catering cottages are affordable and have breathtaking mountain views. The children can help feed the farm animals. Fish in the farm dams – or bring the mountain bikes along and explore the Valley by bike, enjoy farm walks through pristine fynbos and renosterbos. Have relaxing sundowners at sunset and marvel at the blushing pink colour of the mountains, barbeque under a crystalline starscape and listen to the song of cicadas at night. 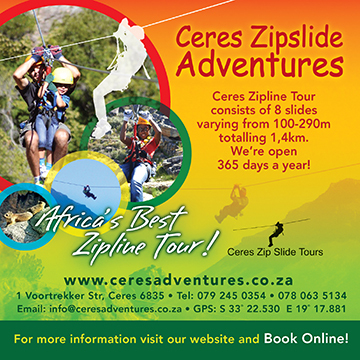 There are various activities on offer in the Valley and a visit to our museums and wine estates are a must.